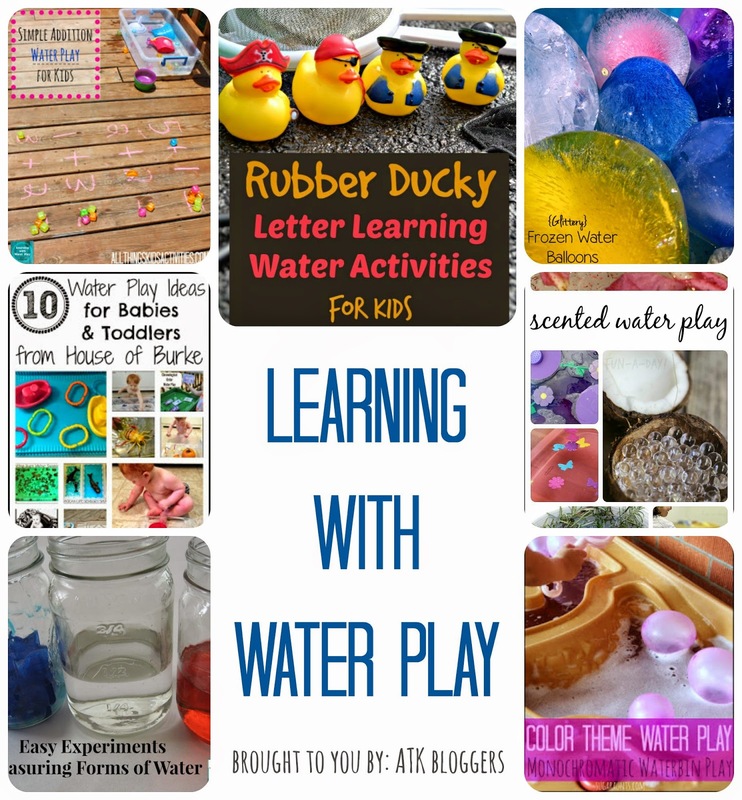 This month's All Things Kids series is Learning Through Water Play. Water play offers so many different ways for the kids to learn. It is also fun! Today, myself and fellow ATK bloggers, will bring you different ideas for water play with the kids. 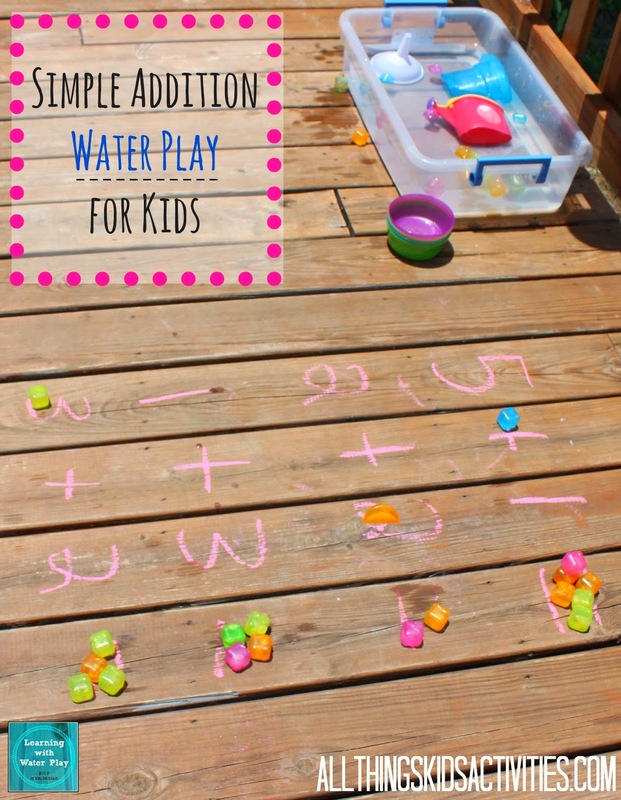 Today I am sharing a fun and easy Simple Addition Water Play Activity for the Kids. My 5 yr worked on his addition, my 3yr worked on counting, and my 1yr had a lot of fun sitting in the water bin and observing the older boys. A fun afternoon playing and learning for them all. Super excited to bring you this month's All Things Kids monthly series post on the NEW ATK blog!! Each month ATK hosts a themed series to bring inspiration for playtime with the kids. This month is all about water play. Tomorrow we will all bring you one fun post full of water play ideas. We are including a linky for you to come link up your favorite water play posts. You will have a chance to be features in a water play round up. We cannot wait to see what great ideas you all share. Rainbow colors seem to make everything more exciting! There is just something about that mix of colors that catches the eye. 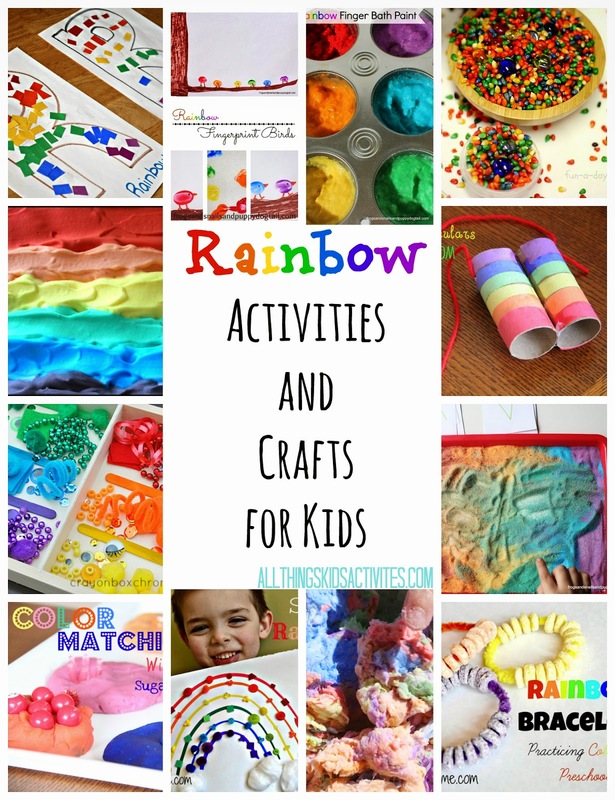 For young kids rainbow activities and crafts are perfect ways to help them learn colors. For older kids rainbow colors can be used in color mixing. There are many possibilities with rainbows for learning and fun. I have put together a collection of ideas to help inspire and aid us in playtime and teaching our kids. Hope you can find a few ideas to enjoy too. I have found some I would love to try with the kids.